Horseback! New Mexico serves as an adjunct to my book, "Horseback Trails of the Santa Fe/Taos Area." New Mexico trails have a lot to offer in terms of diversity, geology, geography, and access. There is riding for every season of the year, at elevations from 4,500-13,000 feet. Within this range are five life zones: Lower Sonoran ( below 4,500 feet) with desert plants such as mesquite, creosote, yucca; Upper Sonoran (up to 7,500 feet) with pinon and juniper forest; Transition (7,500-8,200 feet) with Ponderosa Pine, riparian willows; Northern Coniferous Forest (from 8,200 feet to timberline – 10,000-11,500 feet) with Douglas fir, subalpine fir, blue spruce, bristlecone pine and aspens; and Tundra (above timberline) with very hardy vegetation such as grasses and shrubs. Each of these zones are characterized by its own particular climate, vegetation and wildlife. The land itself is a geologist’s paradise – with rugged volcanic profiles and broad plateaus and mesas, landscaped by water and wind. The high alpine country offers tough trails bordered by ponderosa pine and aspen forests with pristine lakes and wide uncompromised vistas. Some trails include evidence of past cultures: cliff dwellings, ruins and old adobe and log outposts built by settlers and ranchers. I have been riding trails around New Mexico since 1992, much of it as an endurance rider with over 2,500 completed competition miles. I have seen the diversity and possibilities the country offers. Because over the years so many people asked me where they could ride, I started writing this book. 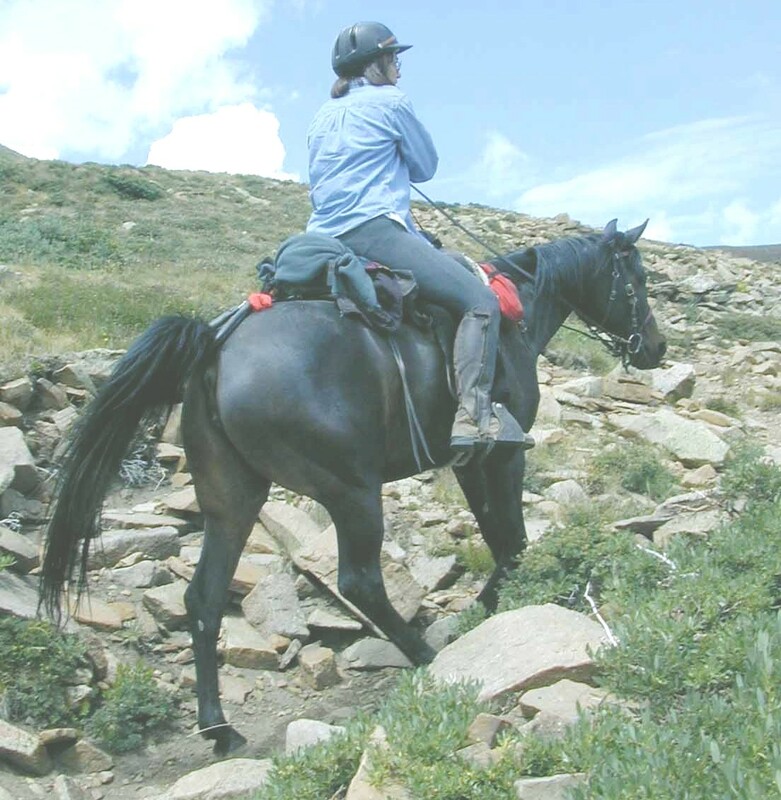 By providing a website for trail riding throughout New Mexico, it is my hope that riders will want to post information about their favorite places to ride throughout the state. Riders will be able to post photos, GPS points, trail descriptions and other information that may be of use to others.